To order any of the CDs pictured below or others from my library click on the drop-down menu. If you click on the image, you will get a description of the CD. To order from the shop menu, click on add to cart. Then proceed to checkout to pay through PayPal. Please feel free to email me with any questions at mooreinspire1957@gmail.com. Let Go of any thing that is weighing you down with Stress Busters! This is the first CD I ever wrote and it is still my favorite. Stress Busters takes you on a peaceful walk on an imaginary beach where you are able to let go of everything that is weighing you down and get guidance and a gift to help you resolve the problems you are currently dealing with. Use it time and again. You will always get exactly what you need, exactly when you need it. Learn to Get What You Want with Hypnosis! Do you have a difficult time getting people to pay attention to you? Are you unsure of yourself in social situations? Do you “clam up?” The suggestions on this hypnosis cd will help you to state your needs without losing your cool. Learn to be listened to by increasing your own personal magnetism. Win friends and influence people. Open new doors to success and popularity that you never dreamed possible. This program really works! Hypnosis can help with other emotional issues as well. Here are a few. Get rid of emotional debris to get out of your own way. Hypnosis helps you do it subconsciously. Two of the most detrimental negative emotions we hold on to can be released easily, quickly, and safely with hypnosis. Learn to allow your emotions to flow through you like water. Raise your emotional IQ. Your entire life will change overnight. This is one of Kathy’s most popular CDs. It is an excellent tool for releasing the emotional component responsible for: excessive weight, addictions and even diabetes and other diseases. If you are having a problem with anger management, you owe it to yourself to try this CD. Stuck guilt is another extremely detrimental emotion. Track #2 helps you to eliminate unnecessary guilt and move forward in your life. This hypnosis CD was originally written for a dear friend who was years behind on filing taxes. It will get you super charged to get things done NOW! Don’t keep putting everything off. Just Do It!! You’ll be amazed at how a little positive suggestion can really light a fire under you. Be a Winner when You Quit Smoking NOW! Stop smoking forever!! In my years of helping people stop smoking, I’ve learned that many smokers mistakenly believe that: (1)They do not have enough will power to quit. (It’s not a matter of willpower; it’s a matter of reprogramming.) (2)Smoking is relaxing to them. (It’s actually a stimulant.) (3)They are just loosers. (They’re not! They just haven’t learned how to get control of their subconscious minds yet!) The “Go for the Gold!” program helpts you to feel like a winner!! It contains 7 different post hypnotic suggestions to help you regain your self confidence and stay motivated to quit long enough to instill the habit of being a non-smoker permanently. I use 95% positive suggestion and 5% mild aversion to cigarettes. Most of my clients tell me it’s the most relaxed they ever remember being and they refer plenty of other clients. Why not try “Go for the Gold!” today? What have you got to lose except a nasty habit?? Let Go of Emotional Baggage and Lose Weight! Experience how hypnosis can help with weight management. You can purchase individual CDs or try the complete “Living Lightly” series (a 6 CD set) at a discounted price. This set takes you through the “Living Lightly” weight loss program step by step. In the first segment, “Lighten Up,” Series developer, Kathy Moore teaches you to let go of the emotional causes for overeating – stress, anger, grief, boredom – and how the stress response causes you to hold on to unwanted pounds. She also reviews behavioral improvements for shedding pounds, such as making healthier choices, eating smaller portions and drinking more water. Use hypnosis to eliminate the desire for harmful foods like sugar. 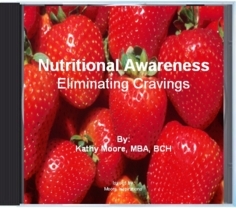 In segment #3, Kathy Moore discusses you the reasons for cravings with emphasis on the roles that sugar addiction, carbohydrate sensitivity and Candida play on the difficulties of sticking to a weight loss program. You are then lead on a hypnotic journey to identify your own foods to eliminate or increase. Desire for good food is increased and bad food is lowered through the use of hypnosis. Use hypnosis to detox harmful substances and thoughts from your body. 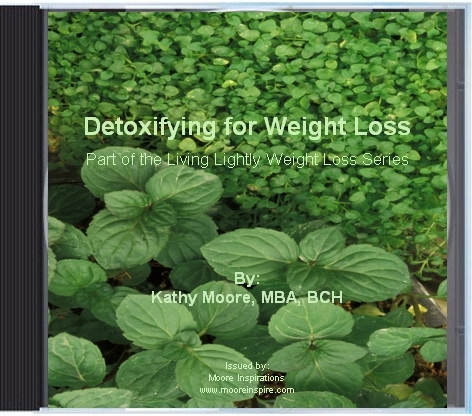 In segment #4, Kathy discusses the various ways to eliminate toxins from the body and how detoxifying can actually help restart weight loss after a person has reached a plateau. In segment #5, you learn to use the power of visualization in achieving and maintaining ideal weight. You will examine the role that ‘negative body image’ is having on deterring your weight loss efforts. Learn to write affirmations to counteract the negative programming which may go back several years. This course will help you develop your own program for achieving and maintaining future weight loss goals. I had no idea that there were so many different things that a hypnosis CD could help someone do. Like you mentioned, it can help you quit an addiction or help you lose weight if you need it. I think that if you have those kinds of problems and you have tried other options without success than hypnosis is a great option. However, you need yo make sure that you do your part and try to eat healthier and avoid your addictions. Hypnosis CDs seems to be amazing. It can help you hone yourself to get what you want and even quit smoking. I’ll be sure to try this out and see if it’ll be effective to me. Thanks for the great read!